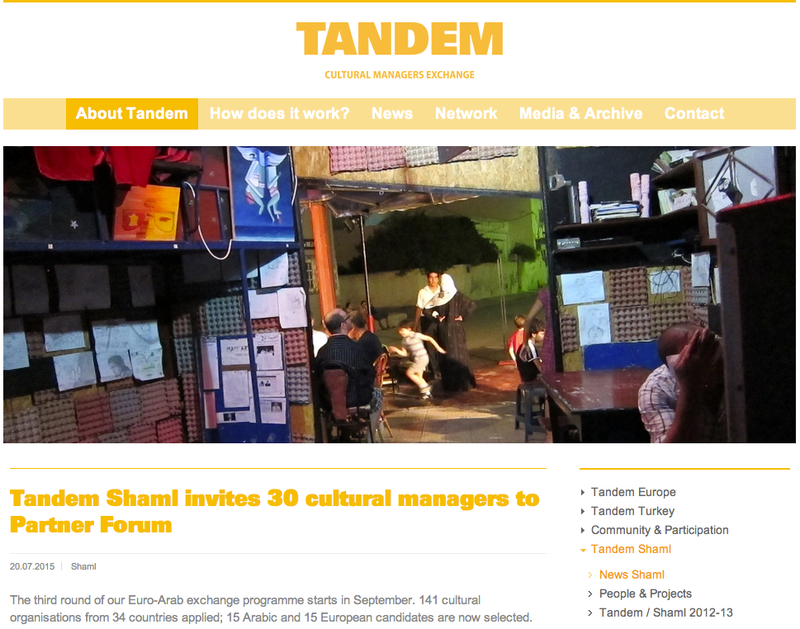 “During the selection meeting of Tandem Shaml organisation partners in Beirut earlier this month, 15 candidates from the Arabic region and 15 European candidates were selected for the first step of the third round of this programme. During the Partner Forum in September they will meet up, get to know each other and work on a collaboration proposal together. It’s the start of a one year collaboration period, where up to 18 participants will work together in nine tandems, and as a group: making new connections and sharing good practice. Good Luck baladilab and thank you Leonie Weber for representing the team! in Beirut, from the 16th until the 19th of September 2015.